The refugee crisis in South Sudan is at an inflection point. The next few months will determine whether the camps will remain temporary shelters for refugees who return home, or become permanent ones for refugees who never do, remaining continually dependent on international aid. We have a month or two to act before these camps, which are already recruiting grounds for militias, become both an intractable humanitarian catastrophe and an accelerant to conflict. Here’s what it looks like already: My camp, Yida, continues to grow as people come down off the Nuba Mountains where the violence continues — we’re currently more than 60,000 and our camp is just one of many — and this has placed immense strain on our supplies and the camp’s infrastructure. In July, we saw a spike in child mortality, because the rainy season came and we didn’t have the facilities to mitigate the outbreak of malaria, dysentery and respiratory tract infections. We tried our best, but people died anyway; we lost more than 25 a week for most of the month, mainly children. And the rain brought with it another challenge: isolation. It turned the Nile from a bridgeable waterway into a massive impassable swamp, and we were cut off from Juba. Two weeks ago, the World Food Program began bringing supplies in the only way it could — by plane, dropping 50 kilogram bags of sorghum to keep us going. Space in the plane’s cargo hold is inadequate though; here in the camp, we aid workers vie for room for the goods on which each of us is focused. As children die from waterborne diseases, water and sanitation supplies are bumped off the flight to allow for urgently needed medicine and nutritional supplements. The medicine is obviously critical, but we’re short on latrine slabs, which means people start making their own out of sticks, or more likely, they’ll just continue defecating in the open, which leads to the further spread of disease-causing pathogens. What makes it even more dehumanizing is this cruel juxtaposition: As we choose between the latrines necessary to prevent diseases and the medicines needed to treat them — because there’s not enough space on the planes for both — we’re taunted by the constant drone of Khartoum’s Antonov turboprop planes overhead. Last November, they dropped bombs on the camp to remind refugees that even here, they still aren’t safe. In April, they hit Bentiu, an additional 60 miles into South Sudan, to drive the point home. Today, children in Yida often run for the bush and hide when they hear a plane approaching, unsure whether its cargo is meant to save lives or end them. For everyone along this border region, working and living amid a protracted armed struggle has become the norm. It is difficult to even conceive of a life here without the troop movements, security updates and intermittent gunfire that have become the constant percussion to everyday life. The specter of war is never far from mind, and for many aid workers, hopelessness is as common a malady as malaria. And yet, the Nubans themselves are a resilient bunch. They come down from the mountains still hoping to return home if the harvest is good. All they need is the international community to validate that hope, to show some confidence in the peace process, as well as a little muscle toward those who threaten it. Many will say a no-fly zone is too extreme, thatthe international community doesn’t have the stomach for it, and that after recent events in the Middle East, for example, this is not a particularly advantageous time to advocate for military intervention in foreign countries. Sudan is unique, however, in the amount of resources already allocated to it. There are three peacekeeping missions here — the U.N. Mission in the Republic of South Sudan, the U.N. Interim Security Force for Abyei, and the African Union-U.N. 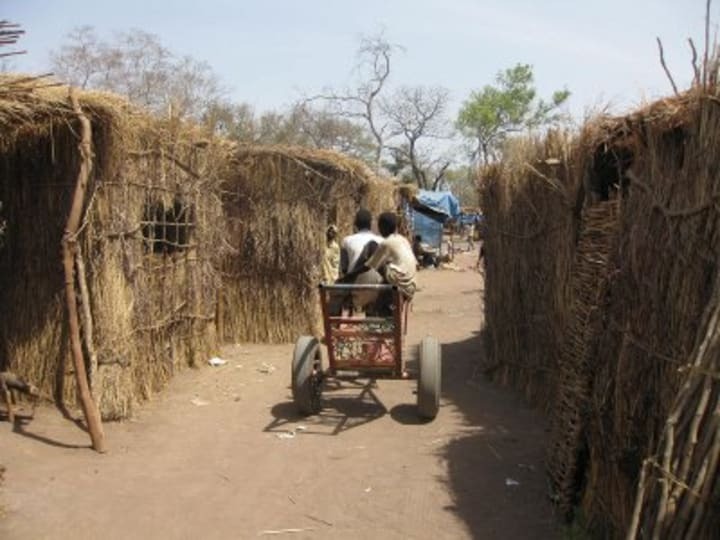 Hybrid Mission in Darfur. The conceit that this place is anything but a ward of the international community is fiction, and when you pay the bills, you typically get to exercise some discretion over what happens. So as the world descends on 1 United Nations Plaza this week for the General Assembly, I offer this appeal, on behalf of the refugees in South Sudan, and those of us trying to care for them: Take a muscular stance toward Sudan. At least a rhetorical shot across the bow, because the first thing we need in order to show these refugees some confidence is a guarantee of their security, and as long as Sudanese Antonovs are buzzing overhead threatening to release their lethal cargo, we don’t have it. Next, international attention to the peace talks in Addis Ababa that reopened this weekend. When they began, there was a brief spike in optimism, but then the world shifted its gaze, and the people here knew it. If the Addis Ababa talks are made a priority though, confidence here will rise again. Confidence in peace means people leaving the camp and returning home in time for their harvest. Without it, many will stay under our relative protection, let their crops back home die, and with every passing day become more dependent. Refugees will resign to stay here for the long term, militias will enjoy a permanent recruiting ground, and the prospects of ending this conflict will grow dimmer still. Finally, I would offer this message to the Sudanese delegation: Take those Antonovs, and instead of loading them with bombs, use them to help us with the airlift. What if refugees didn’t have to wonder if the plane they hear is bringing sustenance or ordnance? What if an Antonov’s payload was measured by kilograms of food and supplies instead of kilograms of TNT? Perhaps it is naïve to wish a Sudanese bomber would bring aid to the very people it now targets, but despite the many challenges facing Yida, there at least a few of us here hoping for radical change, for reconciliation between bitter enemies, and for a region beset by decades of conflict to finally see peace. And maybe, just maybe, an Antonov bringing a payload of food instead of munitions. Check out the rest of our coverage of the U.N. Week in New York, and subscribe to The Development Newswire to receive top international development headlines from the world’s leading donors, news sources and opinion leaders — emailed to you FREE every business day. An engineer by training, James Michael Jackson has worked on construction projects in Saudi Arabia, the United Kingdom and the United States, and as an aid worker has overseen infrastructure projects in Congo, Afghanistan and Uganda.